Tune in from midday here. 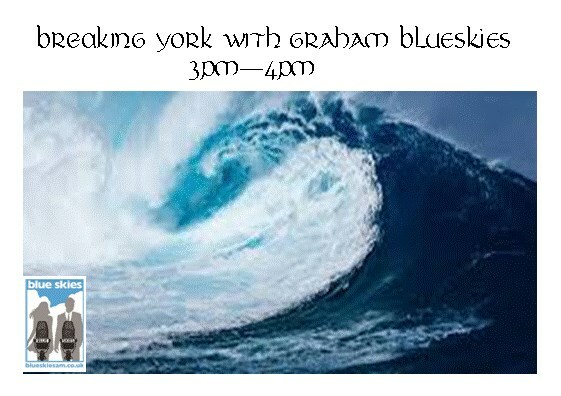 Midday – 1pm – On this weeks edition of The Lunchtime Rush. Declan will be talking about old television shows and their iconic themes, which ones he loves, which ones he hates. and which shows are due for a comeback? As well as all the usual nonsense he does to get you motivated into the afternoon. Happy listening! 1-2pm – New show this week! 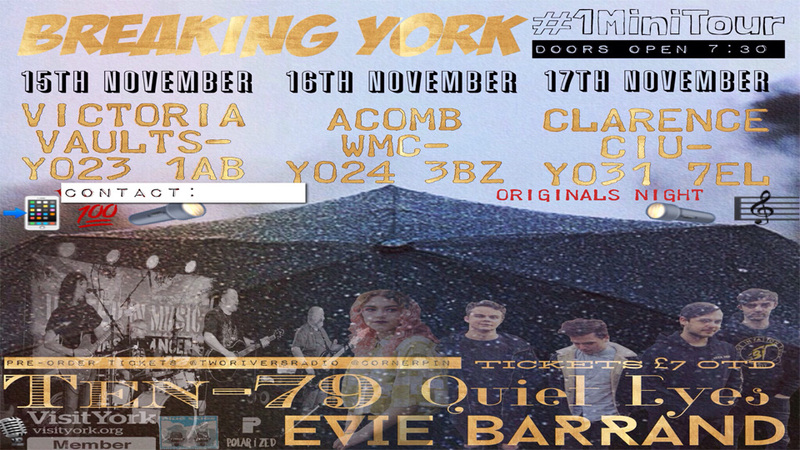 Each month Harrison will be investigating a different York institution; whether that be a place, person or organisation. 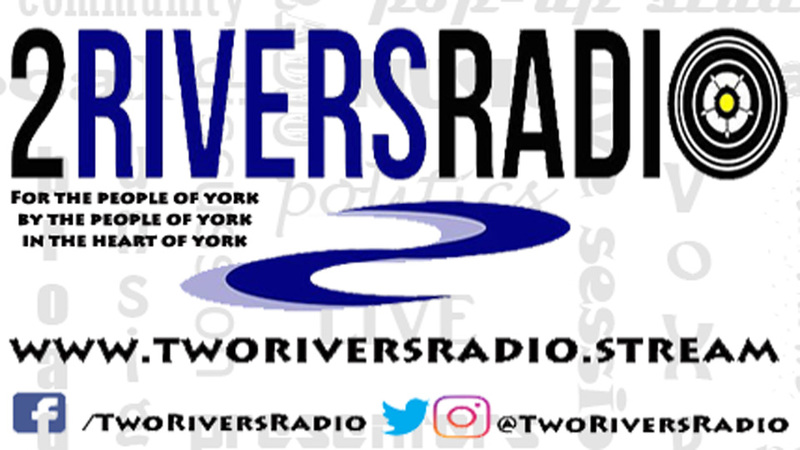 In his debut show, Harrison takes a look at York City FC, what the Minster Men mean to their fans and thoughts on the move from Bootham Crescent after over century at the ground. 2-3pm – LGBT Hour – this month our topic of conversation is Mental Health and Lisa’s special guest Jake Furby will be joining us in the studio. Also this month, we shall have our usual news snippets, a look ahead to forthcoming events and of course plenty of great LGBT related music. Click here to tune in now. 3-4pm – What Rock? This week on What Rock? We celebrate International Women’s Day by looking at women in the industry! 4-5pm – That 80’s show – Join Lisa for another blast from the past, playing you nothing but 80’s hits from the decade, but what is the featured month? Lisa will be giving you some news from the month in question, but which month did all these top tunes hit the charts? Has it been a month already? How time flies! Which is the point of the show: thinking about time. We consider historical events from an anthropological and political perspective and we rock out to some decent tunes from the 60s, 70s, 80s & 90s. Tune in to find out what events & songs catch Rosey’s attention. Two weeks comes round quickly – we’ll have a track from Lucy Starr who will be our guest on 8th April also this week our out of town feature will have tracks from more than one act ( just for a change) we’ll also have some Sam Forrest, Edwina Hayes, Van Der Neer and Jess Jessica Penn, Kid Conventional plus anything else we can manage to squeeze in to the hour, We’ll update you about the IDAS charity gig and if we have time offer a peek into future events with Blueskies. I can confirm that Jimbo Doomface, Quiet Eyes and Sophie Norris will all be playing Staxtonbury this summer. Listen out for more about the gigs we’re planning as the weeks go by. Including how you can get Staxtonbury tickets. 8-9pm – Soul Funktion with your host Dave Johnson returns with this month’s show dedicated to the music of ‘Acid Jazz’ a fusion of Jazz, Funk, Soul and Disco. A genre formed out of the London Club scene of the mid eighties . You will hear music from the likes of the Brand New Heavies, Jamiroquai, Snowboy and Icognito .Tune in and enjoy some top tunes from a unique genre of music from a fantastic period in the club scene. Tune in and enjoy from midday ’til 10pm today. Please like, share and comment on our content.